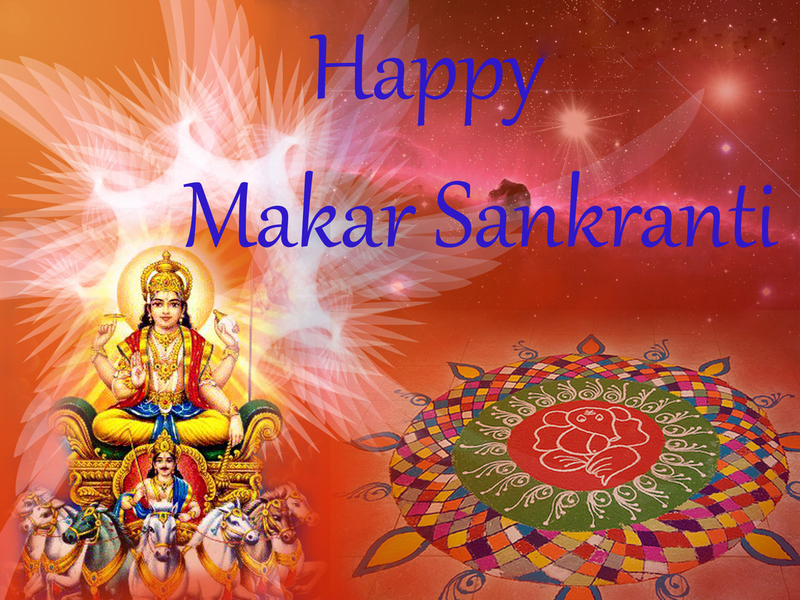 Whole Concept – The Perception of Time and Unchanging Reality: Happy Makara Sankranti to all of my readers. We observe and Celebrate the Movement of Sun across the Celestial Sphere and since human existence is conditioned by Illusion, there is a reason for Joy and define our Whole Concept of an Unchanging Reality. 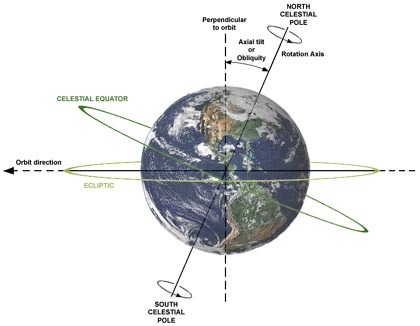 Earth’s Rotational Spin provides the experience of Time by causing changes in the environment which Man perceives as Day and Night. This cyclical change of alternating periods of Light and Darkness is synchronized with Man’s Biological Rhythms. Time is defined as the period or interval between two events or during which something exists, happens or acts; the duration is a measurable interval. Indian thinkers have described ‘Time’ or ‘KAALA’ as a Power or a Force that is eternal suggesting that ‘Time’ existed before the formation of this created universe, Time operates during the existence of this created universe, and Time remains after the total dissolution of this created universe. ‘Things in Nature change with Time’. Does Time exert a force entirely of its own to change things in Nature? If Time is viewed as a Power or Force, who controls this Force and what are the Laws that operate this Force? The Subjective Reality of Man’s physical existence is operated by the Biological Clock which may have a plan for Dissolution. Everything that is born, everything that has come into existence, and everything that is conditioned arrives with its own plan for dissolution. Whosoever had arrived on this planet Earth, is sure to depart. Time operates this plan for dissolution. Time has the power to cause dissolution of the animate as well as the inanimate world and the physical universe. Whatever qualities or attributes such as material wealth, social status, social position, and physical state of well-being that man cherishes and desires most would be dissolved and would be rendered useless by the effects of Time. Humans lack the material, and the biological abilities to transform their physical beings into sources of perpetual enjoyment. Time with its Power of Dissolution would eventually compel us to investigate and to explore the concept of Absolute and Unchanging Reality. This Subjective Reality of Man’s existence on this planet Earth which is a member of the Solar System would be dissolved by the influence of Time. Dissolution of Sun and the Solar System would not result in the dissolution of this universe that we currently know and understand. Even when a man is dissolved, the conditioned reality of this physical universe will continue and remains as before as Earth and Sun do not describe the total reality of this conditioned universe. The Moving Train and the Perception of changing the landscape. Photo Credit: Indyeahforever. Many of you who learned Physics understand the term Speed and Velocity. 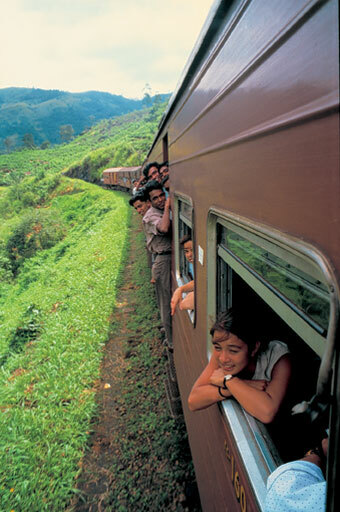 A person riding in a train or any other moving object could perceive a change that is caused by the motion. The nature of this perception depends upon the Speed or Velocity of that moving object. If the person jumps out of the train, the change that he has been perceiving immediately stops. There would be no changing landscape. As the speed of train increases, the perception of change also alters and at very high speeds man actually loses the ability of visual perception. The visual image becomes a blur. If a man is viewing a Motion Picture, his visual ability to view the Picture could be destroyed by simply increasing the speed of the Projector. Any given point on the surface of the Earth moves with the Speed of the Earth. Earth is moving at a great speed and man has no ability to perceive this motion or the speed. Man perceives a change in his environment and calls it day and night. We run our lives by numbers on clocks and calendars. The clocks and calendars create the illusion that we live in a world of mathematically measured segments of time. Time is looked upon as a flow like a river. Sir Issac Newton(1687) stated that the flow of Time is absolute; “It flows equably without relation to anything external.” In 1905 while postulating the Theory of Relativity, Albert Einstein had observed that Time is not absolute and the measurement of Time is affected by the motion of the observer. The Relativity of Time becomes significant only at great speeds. Gravity affects both Light and Time. Gravity bends both Space and Light. Time is affected by the gravitational field of each celestial body. Time is unique to any one spot in the universe. If you and I do not exist at the same spot in the universe, our experience of Time remains conditioned by the place or position of that particular spot in the universe. Thus, the experience of Time on this planet is an illusionary experience and is not an absolute experience. The Cyclical Flow of Time brings Cyclical Changes at expected Time intervals. Life exists because of the Cyclical Flow of Time. Herman Minkowski, a mathematician, added Time as the Fourth Dimension of Three Dimensional Space. Time is seen as a Dimension as it gives meaning to events and the order in which they occur. Physicists describe Time and Space as the building blocks of this universe. 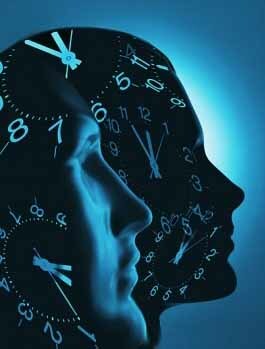 Biologists see Time in the internal clocks that keep all living entities in sync with Nature. Human existence and the existence of all other living entities depend upon this illusionary experience of Time. Life exists and operates only if Time flows in a cyclical manner just like a wheel that moves, rotates on an axle or axis. Man needs this experience of day and night during his entire life journey. Man needs the changing Seasons with its cyclical regularity. Just imagine the consequences to human existence if Spring Season does not arrive at the Time it is expected. 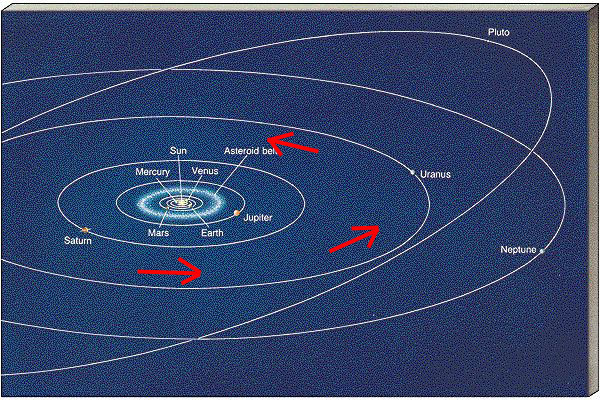 You have correctly pointed out that planet Earth is not at the same location or place in Space as Time flows. Last year, we had experienced the Spring Season while Earth existed at an entirely different location and we look forward to the arrival of a new Spring Season in spite of the Change in the position. In spite of Changes in location or position, in relative terms, the Spring Season is the Unchanging Reality of the Conditioned State of Human Existence. Because of the Conditioned nature of Human Existence, Man always looks forward and hopes that Time would flow in a cyclical manner bringing cyclical changes. Biologists describe Life in terms of Life Cycles. All living functions have a rhythmic or cyclical quality. The exchange of gases during a cycle called Respiration involves the cyclical events of Inspiration and Expiration. The vital functions sustained by Circulation demands cyclical flow of Blood. The Individual and his State or Condition of Individuality remains existing as an Unchanging Reality as long as he experiences the cyclical changes in his bodily functions and in the environment in which he exists. I am that Unchanging Reality, the Reality of my Identity and my Individuality remains unchanged as my physical body experiences cyclical changes in its substance and in the environment where it exists. My phenotype or morphological appearance or outward appearance undergoes a constant change and this change is synchronized with the cyclical change called alternating periods of Day and Night. The Biological Clock precisely measures this Time interval or duration of my existence relative to the illusionary change; in Reality, the Sun is shining with all His brightness at all times with no significant change that I can perceive. 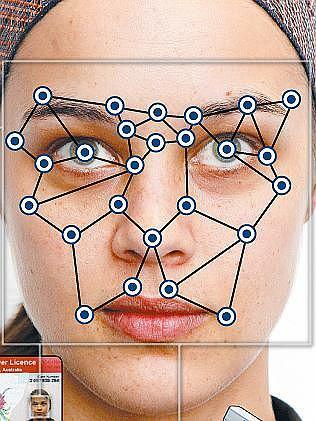 Face Recognition Technology helps in identification of an Individual. Under the influence of Time, the outward appearance undergoes changes all the time during Life’s Journey and yet the Identity and the Individuality survives the Time’s Power of Dissolution.